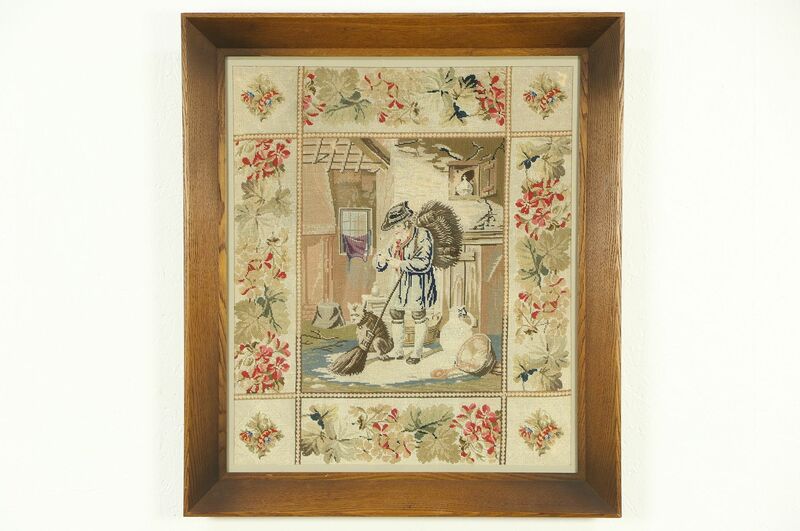 A hand stitched petit point courtyard scene depicts a man with a dog and broom carrying kindling, dating from the late 1800's. Colors are still vivid in this antique work of art. There is a floral border. The solid oak frame is about 50 years old. Overall measurements are just over 27" x 31" and 2" deep.